Sequoia National Park is an old school National Park. It was the 2nd one ever in fact; being established all the way back in 1890. This park demands respect, and you must give it. Over 80% of the park is wilderness and if you don't know what you are doing out in this wilderness the bears, snow, massive trees, or miles of terrain will make your fun adventure turn a bit sour! Let's journey to California with amazing photos from Seth B aka Modern Day Explorer and stories from him and Mike R's trips to this beautiful wilderness wonderland. Follow Seth B on Insta HERE. Adventure is everywhere and although this park is just multiple hours from Sacramento, San Fran, LA, or Las Vegas you'll fill as though stepped onto another planet! Everything is a bit bigger at this park! From the pinecones pictured above to the fact that it has the most massive living specimen in the world in the "Giant Forest." Its name is General Sherman! Mount Whitney is also the highest point in the lower United States, climb Mt Whitney by trekking the PCT or by snagging a permit in its annual lottery! This was suiting to Seth B's time in Sequoia because I came across 13 (if i recall correctly) bears there in 2 days. More on this in a minute! General Sherman on a nice day! General Sherman in the fog! 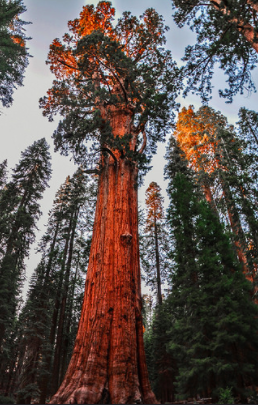 According to the National Park Service General Sherman is the world's largest tree, measured by volume! It stands over 275 feet tall and 36 feet in diameter at the base. It's hard to put into words how massive this tree is until you get in front of and around it! I saw the majority of the bears in Sequoia all on the same hike near evening time, during summer. After seeing so many there I thought it must be normal for them to all come out around dusk! Maybe it wasn’t normal and I just lucked out that day. It was almost as if they were flocking to the trail. I even had one come down the trail head on that I had to detour around. Most seemed completely oblivious to me being around. I never saw so many in such a small amount of time and space! It was truly remarkable. I have had some good luck with bears over the past few years and have came across them in Alaska, Washington, Oregon, California, Montana, Tennessee, Virginia, North Carolina and a bunch in the Canadian Rockies too. I think my evening with the bears there was by far my highlight lol :). I could try to elaborate on that story, but I was only there for 2 days so that is what I remember the most! I wish I had some more insight to add to this park as it was a really good one. Beautiful scenery and I guess I just lucked out with the bears that day! I also went to Kings Canyon for a day or two when I was in that area so my time was split between the two parks. Mike R offers some final know how's about this park. -Three Rivers California has some limited lodging and a great AirBnB we snagged (that was actually required to enter the park entrance to get to) that you can check out HERE. -You can also stay inside the park via lodging or camping HERE! -This is all via the West entrance. The East entrance to the park is accessed by Foot! No joke :). -Holly B came in the winter and you can see some pics HERE. -Most come in the summer as there's some dicey winter driving. Plus the great hiking in Mineral King is more accessible. -Of course visit General Sherman and the Giant Forest! 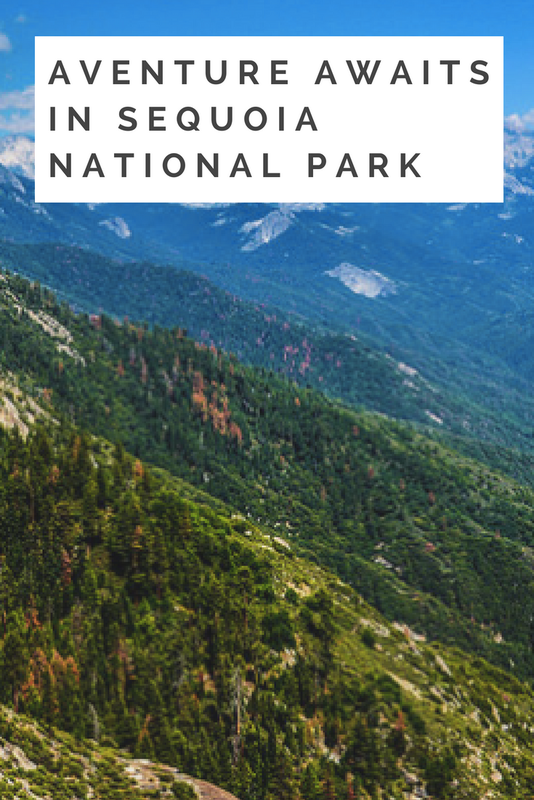 -Also get over to Kings Canyon National Park for a day or two. Hike their groves and go to John Muir's favorite: the actual Kings Canyon. The place that John Muir said "Is a rival to Yosemite." -Check out Mt Whitney permits HERE. -Give yourself time, these parks are WAY bigger than they appear and warrant multiple days at them. -Take a photography class on the trees, a ranger led star gaze tour, or many other great opportunities the parks hold. What did we miss? What do you love about this park? Did you know we draw a winner every three months from our email list to win an 8x11 Hashtag 59 Nature Print and we sign, matte, sleeve, and ship to you? Sign up for our email list in the footer to be entered!